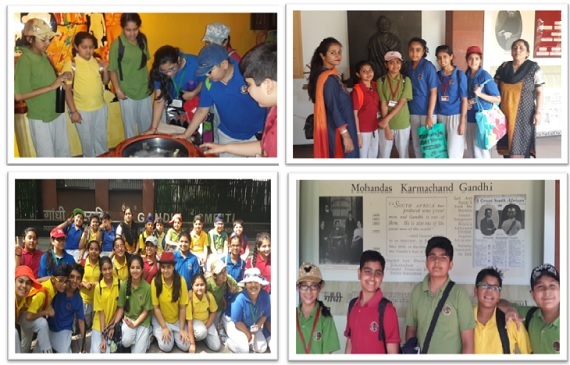 The students of Class VII visited Gandhi Memorial Museum on 22 April 2016. The trip began with lot of enthusiasm and vigour. The National gallery showcased a large number of paintings and personal belongings of Mahatma Gandhi. The gallery included information on political leaders and peace movements. The students were shown a short documentary film on the life of Mahatma Gandhi depicting his contribution in freedom struggle. The use of advanced multimedia to showcase Mahatma Gandhi’s life style and his principles not only induced and increased the awareness of children but also instilled in them the sense of nationalism. On the whole it was an enriching learning experience for the students.